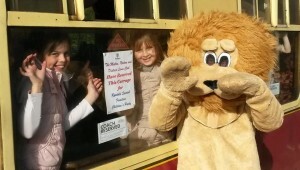 Malton, Norton and District Lions (CIO registered charity no. 1180587) raises £’000s each year. As we are all volunteers, every penny we raise goes to good causes mostly local and the remainder assisting those in need further afield. Activities we arrange include each February entertaining over 100 senior citizens to a full Christmas Dinner, games and live entertainment. In late summer we take a group from Ryedale Special Families to travel in their own coach on the North Yorkshire Moors Railway from Pickering to Whitby return. During the journey we provide a picnic lunch with soft drinks and ice cream. A musical entertainer moves through the carriage encouraging the young people to join in with the percussion instruments that we acquire especially for the day. At the end of 2018 we became a key partner in a new community – led initiative, launched to tackle the issue of waste food in Malton and Norton. 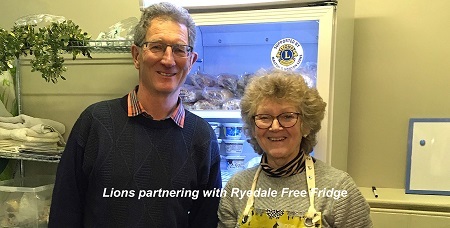 The Ryedale Free Fridge is open three days per week to enable residents and businesses to share surplus food. Anyone who wants to is able to help themselves to quality food that would otherwise have to be thrown away. In February 2018 we awarded the first 10 grants from our Community Fund. Nine of the ten organisations turned up in person to receive their awards at Norton Library – the tenth award winner was on training to use the defibrillator the grant will part fund! We take up to 40 seats at the Malton Pantomime and Ryedale Youth Theatre productions each year and transport people who would not otherwise get to see the shows. In the spring we provide transport for a number of senior citizens to see the daffodils, usually in Farndale, and provide refreshments on the way back. We deliver fish and chips to the elderly and house-bound between October and April each year. In addition to all these regular events, at our monthly meeting we discuss requests for donations from individuals and a range of organisations. We work closely with other local charities and agencies to ensure that all genuine requests are supported wherever possible. Lions consider all kinds of requests for support and are keen to help anyone who is genuinely struggling with ordinary life and the unfortunate things it sometimes throws at us. We like to put a smile on people’s faces if we possibly can and have fun doing it. Please support us – often we can help those who otherwise might struggle. 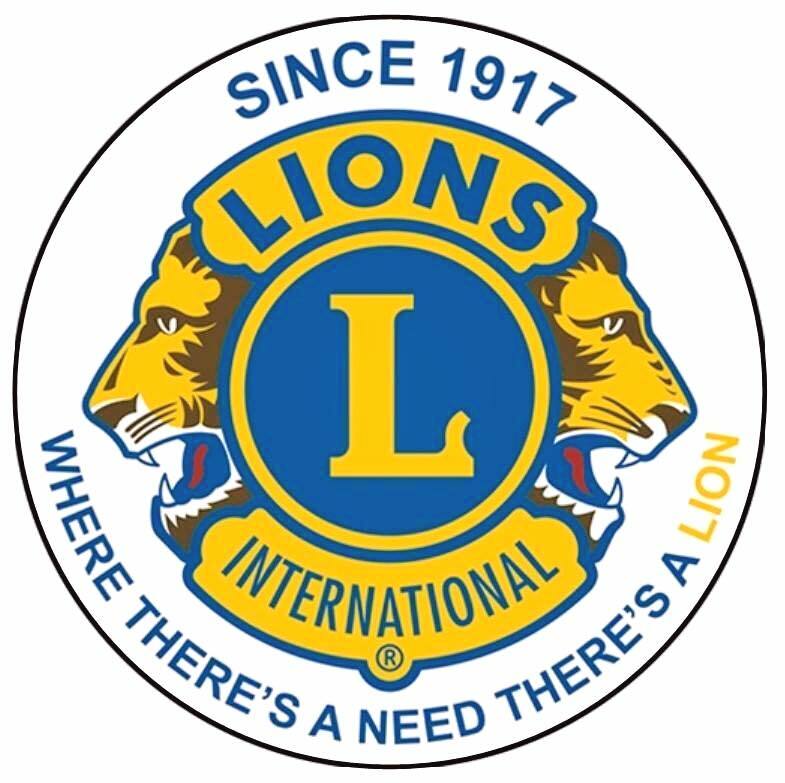 Lions Clubs International was formed in 1917 by a Chicago business leader, Melvin Jones, who wondered what would happen if people put their talents to work improving their communities. As a result of his inspiration, 1.35 million men and women today are members of the world’s largest service club association – 17,000 of them based in 900 Lions Clubs in the British Isles and Ireland. 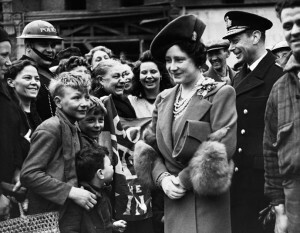 It was thanks to the support of the Canadian Lions – and the intervention of Her Late Majesty Queen Elizabeth, the Queen Mother, that the first Lions Club in London was founded. Canadian Lions had provided invaluable support for children orphaned in the Second World War. To thank them, the then Queen sent her equerry Colonel Edward Wyndham (later Lord Leconfield) to Canada. He was so impressed that Windsor (Ontario) Lions Club agreed to sponsor the first London club, with Lord Leconfield as its founding Charter President. The first Lions Club in England (London) was formed on 1st March 1950 and was quickly followed by clubs in Tonbridge and Brighton. Glasgow was the first Lions Club in Scotland, formed in 1953, the Dublin Club was the first in Ireland being founded in 1955. A full 8 years later in 1963 the first Welsh club – Wrexham was formed. In the late 1950s, we created the Leo Programme to provide the youth of the world with an opportunity for personal development through volunteering. There are approximately 144,000 Leos and 5,700 Leo clubs in more than 140 countries worldwide.